at the Corner House Gallery on November 29th, 2012. 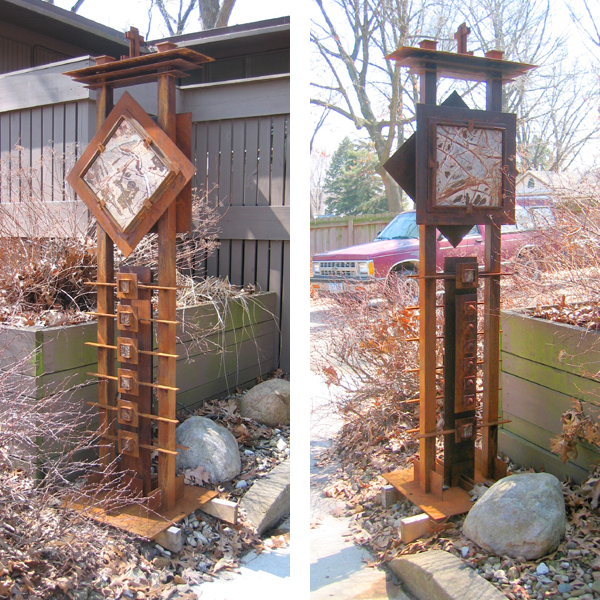 Prairie Diamond 1 is a rusted steel sculpture with marble insets. It is 6'-3" tall. It was selected for display in the "Sculpture on Second" exhibition in downtown Cedar Rapids, from August 2005 till June 2006 and was also on display in Rock Island for a year. It was for sale at the Corner House Gallery in Cedar Rapids until it was stolen in 2012.